Once your subscribers click on a link in your newsletter and arrive on your site, you can get additional stats on your subscribers thanks to Google Analytics' feature called "Campaigns". This feature is available to Premium users of MailPoet only. Germans can read this guide to make sure they abide to their country's laws. their behavior, like pages per visit, visit duration, etc. their city, country, continent, etc. their screen resolutions, their operating system, etc. You won't be able to track the identity of each visitor, unlike in MailPoet. This is against Google's policy, which we respect. You can recycle a previous campaign name if your newsletter is part of a series. For example, if you're running a site for a music band, you could have a 3 campaigns: " news", "tourdates" & "everythingelse". Wait one or two days after you sent your newsletter to see proper statistics! 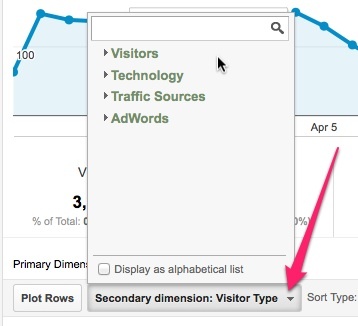 In your Google Analytics account, find this menu item on the left, under Acquisition. The page should show you all your campaigns. You'll easily identify the MailPoet campaigns. We've only really scratched the surface in this article. We encourage our stats driven users to search Google for other tips on conversion paths and multi-channel funnels. Can your newsletters beat your Facebook page? This is not part of the instructions, but a fun challenge for our users. If you have an updated Facebook page and a regular newsletter, you can actually compare which drives in more traffic to your site. You can also asses the quality of the visitors of each with visit duration. At MailPoet, we've always taken pleasure at matching them up and seeing that while Facebook pages generally drive more interactivity, newsletters subscribers are more dedicated to visiting our sites. This highly depends on your audience of course. Setup the challenge yourself and see which of the two "channels" scores the highest.